"Hello, everyone. I have a problem with the gallery of my galaxy phone. I put the photos into a folder but when I open it, the photos don't in the gallery app. This drives me crazy. Someone kindly has a solution to my problem?" I found this issue happens frequently on Android phones because I came across it multiple times on forums. Actually, this is not a big issue. I will give the answers to solve this problem that you can't view pictures from Android gallery. When you have found that your images disappeared in the gallery, in fact, more often it is a simple mistake of your smartphone cache due to some corrupt process or a sudden malfunction. Let's see how to fix it. Step 1: Pull down the notifications bar and click on the gear icon in the upper right corner or simply click on the menu settings. Step 2: Depending on the model of your smartphone, now, you have to get to the item "Application Management", which can be found in memory or in the main menu. Step 3: Once in "Application Management", scroll down until you find the app "Gallery" of your smartphone and click on it. Step 4: Now forced the shutdown of the gallery and click "Clear Cache". Step 5: Head back to the main screen, close all background apps and restart the smartphone. All done! You will find the disappeared images in the gallery. This Method 1 is simple and you don't need any advance knowledge for recover your missing pictures in the gallery. But the Method 2 will be a little complex compared to the Method 1. Well, when you have missing pictures in your gallery, these pictures are stored in a folder named .nomedia. The .nomedia seems is a blank file placed in an folder. 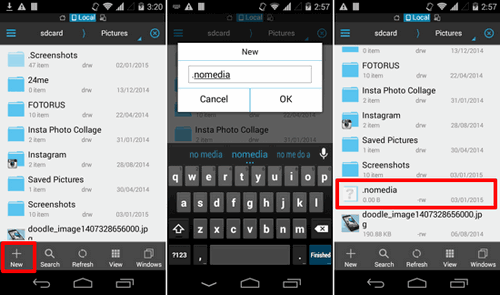 If you store photos in a folder contacting a .nomedia file, then Gallery app will skip to scan the images in this folder. This is a common practice in Linux based systems. Now, you maybe know what you have to do. Simply go to favorite file manager and find the folder containing .nomedia file. When you have found the file, delete it from the folder or you can simply rename the file to any name you like. 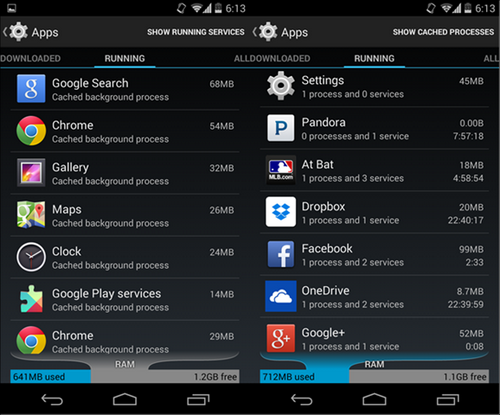 Then restart your Android device and here you should find your missing pictures in your Android gallery. However, in case if you want to hide your pictures and any other media files then you have to add a new folder with a .nomedia file and move your pictures or other media files into this folder.